Last night I returned home from Tulsa, OK and I found things online. The wonderful people of the Tulsa City/County Libraries (I think I got that right) invited me to speak at their Anime Mini-Con. So when the time came I hopped up on stage in front of a modest crowd of costumed teens and I drew pictures and talked about stories and art. And I told them, as best I could, what is special about that particular blend of art and story that we call COMICS. Afterward I signed some books and talked to people. One boy told me that he had been unwillingly dragged along to the event by his big sister, but that after my talk he was glad he came. He was clearly enthused about comics and reading and art, and that was encouraging. I’d left my computer behind for the weekend, so when I returned home I was eager to check my messages and see what was happening on the internets. To my surprise and delight, several people had already sent me pictures of their ZITA COSTUMES! And that was encouraging too. Then I found this little post on Neil Gaiman’s Tumblr. You can click through the link to read it, but the gist of the story is that a parent takes her child to a book fair and the boy picks out Zita the Spacegirl as the book he wants to bring home. 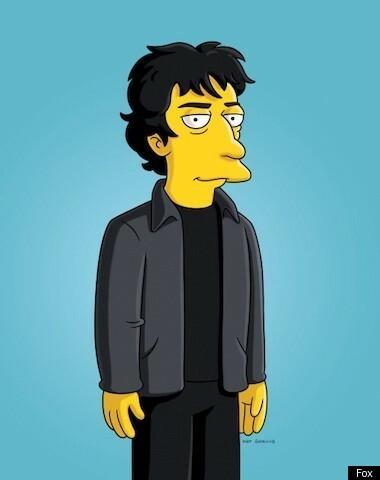 The mom is initially uncomfortable with the idea, and she feels “compelled to coach him toward a book that I felt was more substantial, less comic-y, more ‘readerly.’” Thankfully all is resolved when a vision of Neil Gaiman appears! (in my imagination he looks like the Simpsons version) And, in his delightful british accent, he urges the mom to let the boy bring home Zita. Okay, so in the real story I guess the mom remembers a Neil Gaiman quote about not pushing reading choices on children. But I like the idea of an animated Free Floating Full Torso Vaporous Apparition. At first I was just excited that Neil Gaiman, a writer whose books have been a big inspiration to me (I’m looking at you, Graveyard Book), reblogged the story along with a picture that I made. Yay! But it still bothered me a little that the mom's initial reaction was against comics in favor of prose. It’s another little reminder that, despite such amazing titles as Emmanuel Guibert’s Alan’s War, Gene Yang’s Boxers and Saints and Matt Phelan’s Around the World, comics-as-literature still fight an uphill battle for acceptance here in the U.S. Why is a book that boasts both a good story _and_ beautiful artwork somehow not as legitimate a thing to sit down and enjoy? I’m glad that the mom remembered Gaiman’s quote and that brought home my book. I can’t tell if she remembered that a large part Gaiman’s early fame came from writing comics.